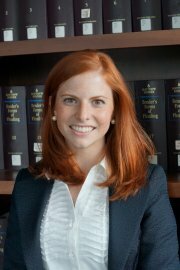 The firm is pleased to announce that Meghan McGrattan recently passed the New York State Bar Exam and is scheduled to be admitted to the State Bar Association on June 20, 2016. If a person dies intestate (i.e. without a Will), the statutes of New York govern how their property is disposed of and how their loved ones are taken care of after their death. In most cases, this does not result in how the family wishes to have their assets owned and managed. All of this can be avoided if a Will is in place. The newly enacted maintenance guidelines provide guidelines for the determination of temporary maintenance and post-divorce maintenance. The statute provides for a formula for the calculation of maintenance, dependent upon whether or not child support is being paid. The statute also provides guidelines to calculate maintenance for income that is below the statutory cap ($175,000), for income above the cap, and advisory guidelines for term of maintenance to be paid. Did you know? New York State offers a Women's Business Enterprise Certification Program ("WBE") through Empire State Development's Division of Minority and Business Development. The WBE is designed to offer opportunities for businesses where women hold a majority ownership. The mission of WBE certification is to promote equal economic opportunities for women businesses by eliminating barriers in participating in New York State contracts.